Telepresence just got more immersive…. A 3D teleconference that didn’t need the participants to wear special glasses linked London and Russia yesterday, in the first experiment of this kind in the world. It was possible due to a host of inventions by Russian company Triaxes Vision, based in the Siberian city of Tomsk. 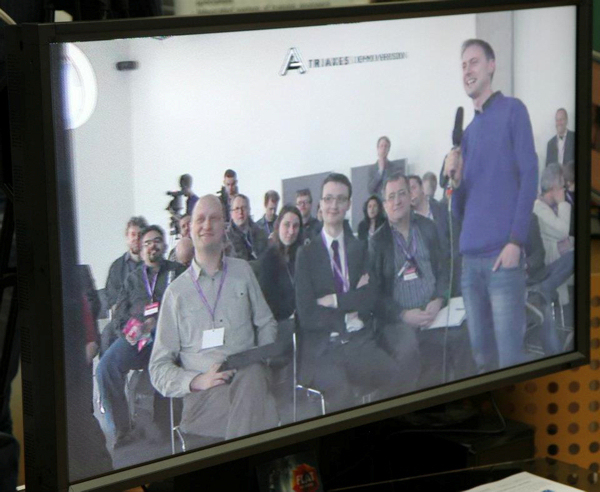 During the experiment, the guests of the 3D Storytelling conference, a broadcast and gaming industry event held in London, could see and talk to an audience at Tomsk Polytechnic University. Scuba diving among the sharks along Australia’s Great Barrier Reef is a breathtakingly immersive experience. It’s also dangerous and expensive. 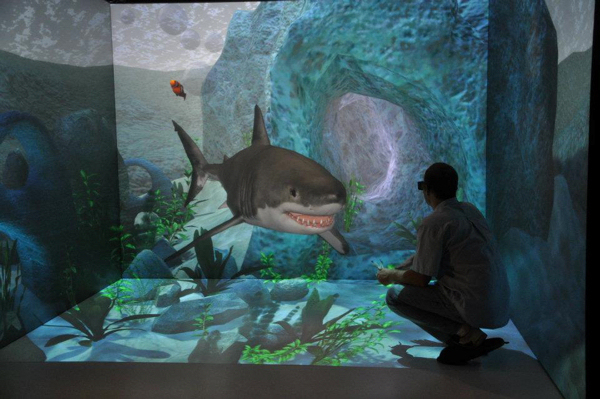 But exploring a virtual ocean and coming nose to nose with a real-looking shark is a viable alternative. That, in a nutshell, has been the promise of virtual reality over the years — it could put us in an artificial environment that feels entirely real, without getting our feet wet. 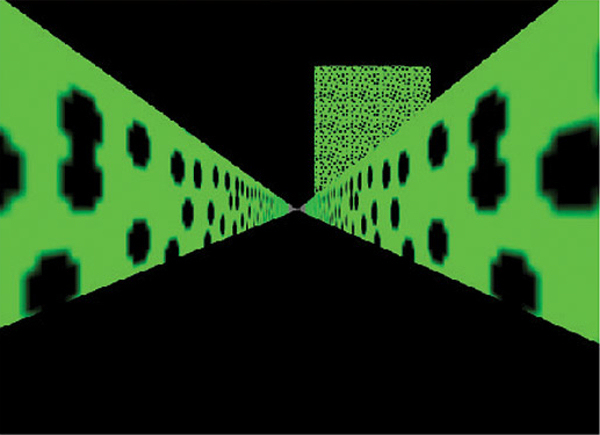 Movies like “The Matrix,” “Lawnmower Man“ and “Star Trek“ gave us a taste of “VR.” In the mid-1990s startups and investors jostled to bring virtual technology to the mass market; instead, VR tech became specialized, used mostly in corporate training, the military (flight simulators) and science education. No more. The success of the 3-D movie “Avatar” and the popularity of super-realistic video games are bringing virtual reality and its cousin, augmented reality, to the entertainment forefront. Please circulate. Review of applications will begin immediately until the positions are filled. (PhysOrg.com) — In both war and peacetime scenarios, fire in the shipboard environment is serious and frequently results in excessive damage and high repair costs because the fire is not detected or controlled adequately. 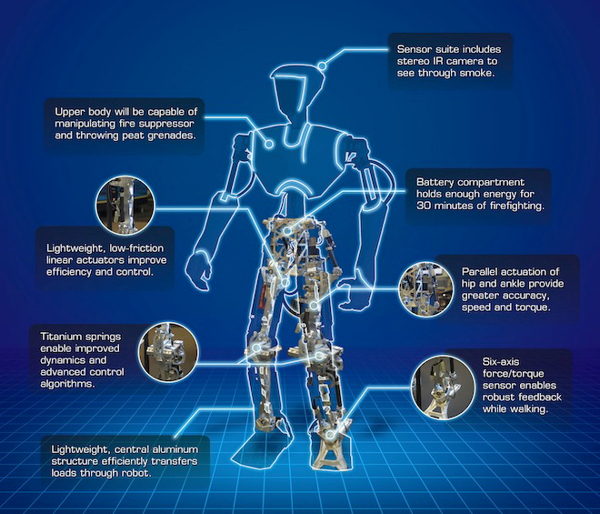 To help further improve future shipboard firefighting capability, scientists at the Naval Research Laboratory have formed an interdisciplinary team to develop a humanoid robot that could fight fires on the next generation of combatants. A humanoid-type robot was chosen because it was deemed best suited to operate within the confines of an environment that was designed for human mobility and offered opportunity for other potential warfighting applications within the Navy and Marine Corps. 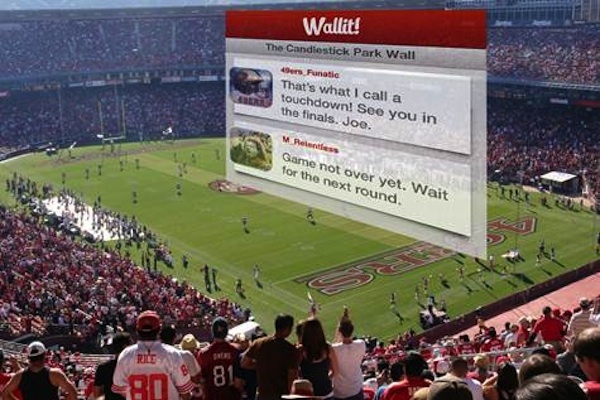 Released Tuesday for iPhone and iTouch, Wallit is hailed by Berk as the world’s first “social augmented reality app.” Like Facebook, it enables you to interact with your friends. Like Twitter, it only lets you write in short 140-character bursts. Like Foursquare, its digital benefits are based on where you go in the real world. But Wallit combines these features — and more — in an entirely new way.